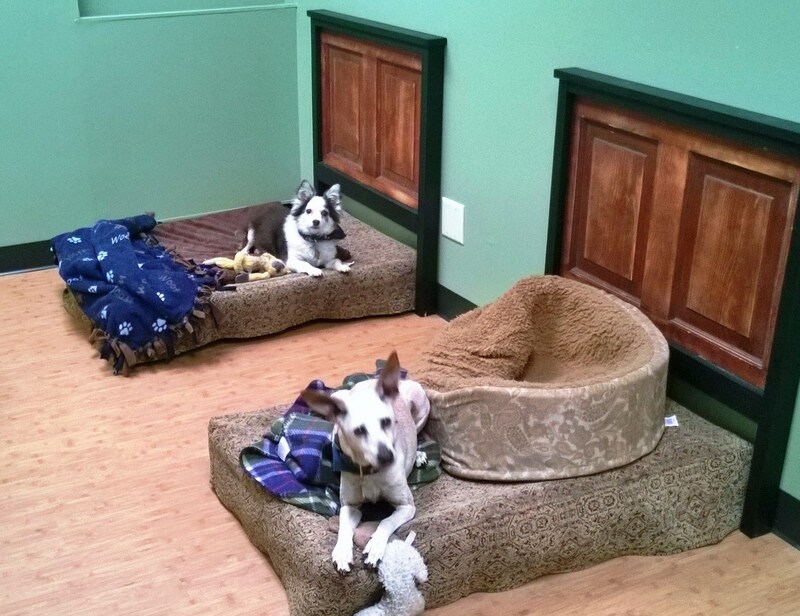 Overnight care is available to the canines that attend Daycare already and for new friends. If you do not currently frequent the Bellyrub Klub for Daycare, please contact us to set up a time to meet each other. Familiarizing yourself with our Staff, facility, routines and other dogs will help make your furry family member’s stay much more pleasant and far less stressful! Staying with us Overnight means that your dog will play in the Off Leash Play Groups during the day and rest comfortably in their own Klub House or BRK Bedroom at night. 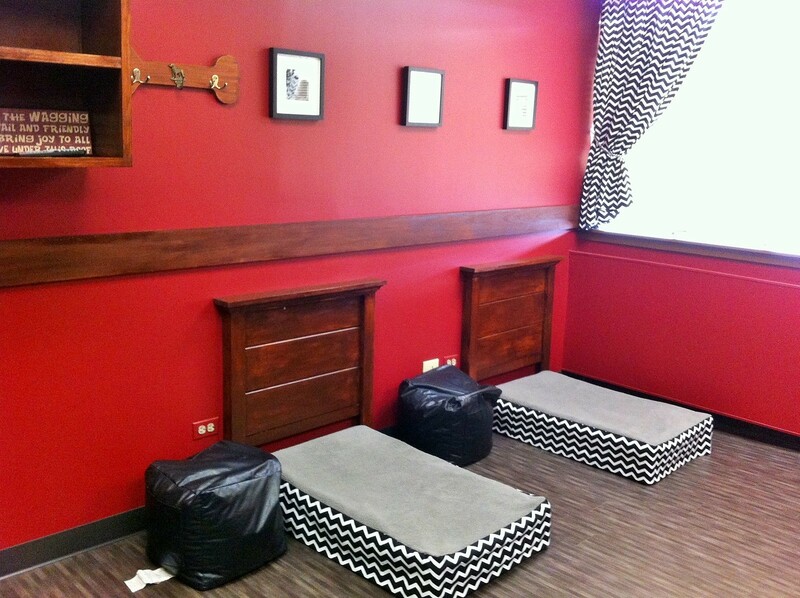 The Klub Houses can accommodate any size dog(s), dog beds, blankets and toys. If you have a family of dogs, we have a Klub Houses large enough that your crew can all sleep together…one big slumber party! We have also recently designed the most comfortable and adorable Bellyrub Klub Bedrooms! There are reserved on a first come first serve basis. If you’re a Klub Member, there are special add-ons included in your canine’s stay. All dogs can watch movies, TV, they have night lights, Kuranda beds, or you can bring their own. All their belongings stay in their Bedroom with them and its a great place for them to get some peace and quiet when they need a break from playtime. Great for single and multi dog families. 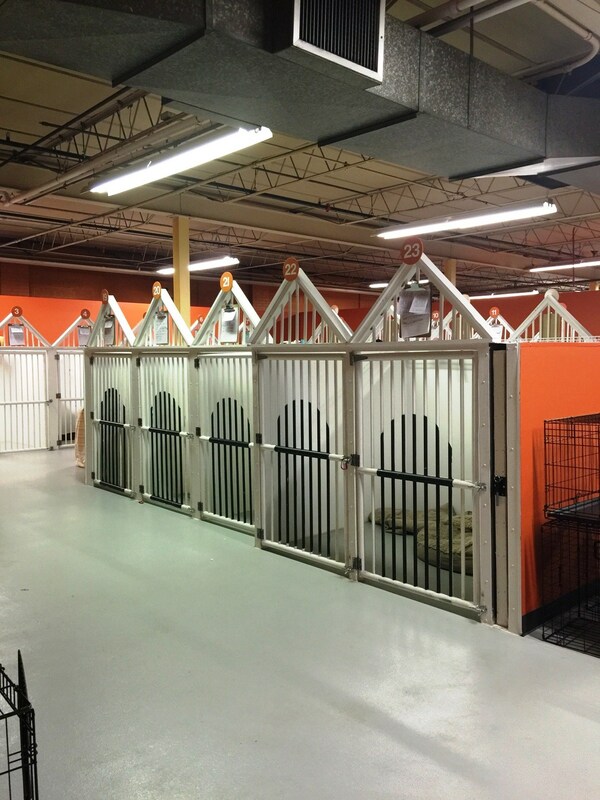 We have 3 sizes to accommodate any canine crew. You have to come check them out!! There are some nights the staff would like to just cuddle up with the canines in the Bedrooms, they are that nice!! You can bring their bedding, chew toys, favorite stuffed animals, etc. to sleep with. 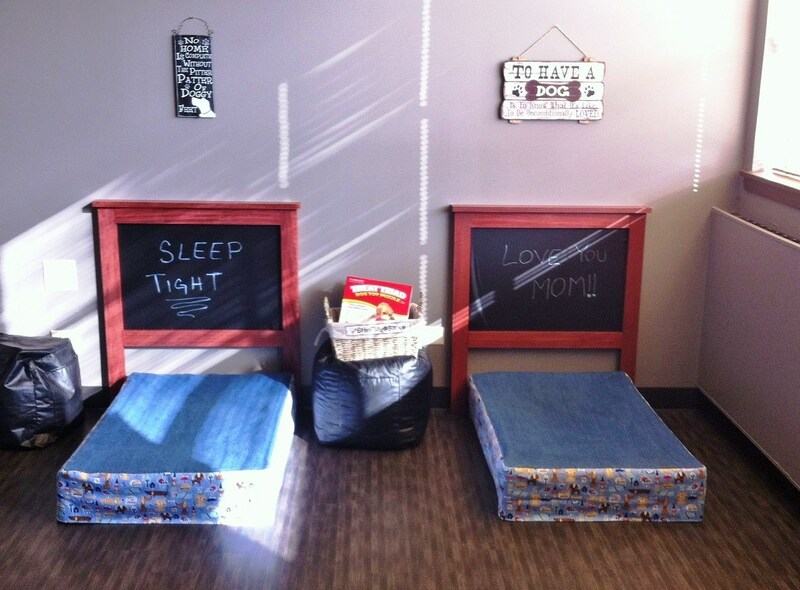 We want them to be snuggled in with their favorite smells and possessions so they sleep well and are rested for their next big day of play! Daycare, petting, tuck in time, cuddle time, feeding, medication, maid service, relaxing music to chill by, and – of course – Love and Bellyrubs, are all included. Since all the furry friends that join us for Overnight Care will play with others in the Daycare during their stay, they must be social and comfortable in a group environment away from their Pet Parents. We ask that each dog spend 1-2 days at the Bellyrub Klub playing in the Daycare prior to their first over night stay with us. This will help them adjust to being with us, get to know their caretakers, our routines, etc., and, REALLY help them to be more comfortable during their stay, I promise!! It really does make the difference between tolerating being away from the family and actually enjoying their time with their BFFs at their Bellyrub Klub.